On Monday, 02-25-19 at 6:57 p.m., several officers were dispatched to the carport area of the 300 block of Palmcrest Drive on a report of a subject who held a knife up to the reporting party/victim. The 21-year old reporting party said he was in his vehicle with his girlfriend and was backing out of a parking stall when he saw a subject sitting in a chair and staring at him. The reporting party said he rolled down his window and asked the subject if he had a problem. The subject told the reporting party that his girlfriend was out to get him. The reporting party told the subject they didn’t know him, and he said the subject then held up a knife and said that he didn’t want to fight his girlfriend and that he wanted to fight him. The reporting party said he was afraid and drove out of the stall and called to report the incident. Officers were unable to locate the suspect. The victim was not harmed. On Friday, 03-01-19 at 2:45 a.m., Officer Lizana and Officer Tualaulelei were on patrol in the parking lot of Gellert Park and saw a male subject standing near a picnic table. Realizing that this subject was in the park after hours, Officer Lizana exited his patrol car to initiate a pedestrian stop. The subject walked away from the officer, and Officer Mendiara responded to assist. The subject led the officers on a foot chase, and Officer Mendiara suffered an injury to his head in the process. Officers placed the subject, a 34-year old Pacifica resident, under arrest for resisting a peace officer, causing a serious bodily injury. On Friday, 03-01-19 at 10:23 a.m., Officer Haas was dispatched to the Serramonte Shopping Center on a report of a commercial burglary at the Maze Watch repair kiosk. The reporting party said that an unknown subject stole the computerized credit card reader the night before between 9:00 p.m. and 10:00 p.m. The reporting party said that Serramonte security had video of the incident. Officer Haas reviewed the video and saw a subject reaching over the counter and ripping out the computerized credit card reader from the wall. Officer Haas continued to look through the video and followed the subject to the Target store. Using Target’s security video, Officer Haas was able to obtain a clear image of the subject who had a large tattoo on his neck. Through Officer Haas’ tenacious investigative efforts, he was able to identify and arrest the suspect, a 27-year old San Francisco resident, for burglary, grand theft, computer access and fraud, identity theft with a prior and disobeying a court order. On Friday, 03-01-19 at approximately 2:58 p.m., Officer Hart was assigned to patrol the Serramonte Shopping Center due to a heavy increase in auto burglaries and organized retail thefts from various clothing stores within the mall. Officer Hart saw two female subjects carrying large bags and walking at a fast pace from the exit mall doors. Upon closer look, Officer Hart could see several magnetic security devices attached to the clothing items that were protruding out of the bags. Officer Hart drove around the parking lot to approach the females, and as he did, he saw a Serramonte Shopping Center security guard exiting the mall trying to catch up with the females. Both subjects, 29 and 39-year old San Francisco residents, were arrested for organized retail theft. The 29-year old was additionally charged with resisting arrest. On Friday, 03-01-19 at 5:59 p.m., Officer Hyink was dispatched to the 300 block of Park Plaza Drive on the report of a possible commercial burglary via roof access by three suspects who had fled when contacted by the Westlake Mall Security. The security officers detained one subject, a 15-year old San Mateo resident. The juvenile had a window punch and less than an ounce of marijuana in his possession. Officers arrested the subject and released him to the custody of a parent/guardian with a promise to appear in court. On Friday, 03-01-19 at 10:43 p.m., Officer Chow was dispatched to the area of Citrus Avenue and San Diego Avenue on a report of a subject who was found under the reporting party’s vehicle. Officer Covarrubias arrived to assist in translation, but the subject was severely intoxicated to the point where he could not stand on his own, tell his name, or answer any general questions. 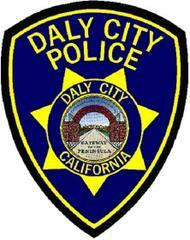 Officer Chow arrested the subject, a 24-year old Daly City resident, for public intoxication. Due to the subject’s level of intoxication, he was taken to Seton Medical Center. On Sunday, 03-03-19 at 6:42 a.m., Officer Edwards was dispatched to a report of a just-occurred armed robbery. The victim, a 40-year old Daly City resident, said she was had gotten off a MUNI bus at the “Top of the Hill” and said she was robbed by gunpoint by three unknown Hispanic males. The victim said one suspect pointed a gun at her face, and one of the other suspects demanded her purse. The victim said after one suspect grabbed her purse, all three suspects ran northbound on Mission Street. The victim described all three suspects as being 20-30 years old. The loss was the victim’s Michael Kors purse containing a Michael Kors wallet, miscellaneous credit cards, $500, keys and a cell phone. Officers canvassed the area but could not find the suspects. The victim did not appear to have any physical injuries and refused medical help. This investigation is continuing. On Sunday, 03-03-19 at 6:42 a.m., a 40-year old Daly City resident was the victim of an armed robbery at the “Top of the Hill” area of Daly City. See “Notable Reports” for more information. On Sunday, 03-03-19 at 12:10 p.m., a Loss prevention officer for Target was involved in a violent confrontation with a shoplifter. The loss prevention officer observed a subject stealing items and then walking out of the store without paying for them. The loss prevention officer advised the subject that he was being arrested for shoplifting and said the subject walked away from him. Another loss prevention officer responded to assist, and when they tried to grab the subject’s arm, they said the subject pulled away and began flailing his arms. Serramonte Mall security officers also responded, and the subject hit several of the officers and threw close fist punches at the officers. The subject, a 41-year old Daly City resident, was eventually detained and arrested for robbery, commercial burglary and was placed on a probation hold. On Tuesday, 02-26-19 at approximately 3:30 p.m., an unknown subject broke the door handle and frame to enter the Westmoor Clubhouse. The alarm was triggered, and the subject left the scene. On Wednesday, 02-27-19 between 5:44 a.m. and 6:30 a.m., two unknown subjects pried the frame of the front door to the Palace Laundromat on Geneva Avenue and took money from the coin machine. This investigation is continuing. On Thursday, 02-28-19 between 9:00 p.m. and 10:00 p.m., a 27-year old San Francisco resident stole a computerized credit card reader from a kiosk at Serramonte Shopping Center. He was arrested the next day for the crime. See “notable reports” for more information. On Thursday, 02-28-19 between 8:30 p.m. and 10:10 p.m., an unknown subject cut the padlock from a locker in the men’s locker room of the Planet Fitness facility. The subject stole the victim’s clothing, wallet and keys. The subject used the credit card at a nearby business. This investigation is continuing. There were two vehicle burglaries and one attempted vehicle burglary reported during the past week. This is a considerable reduction from the 15 that were reported last week. Hopefully this could be attributed to extra patrols and/or inclement weather. •	Parking lot of 333 Gellert Boulevard—a thermos and miscellaneous paperwork were taken from a 2017 Toyota Sienna. The right rear window was smashed. Occurred on 02-28-19 at 4:03 p.m.
•	Classic Bowl parking lot—clothing and keys were taken from a 2019 Hyundai Elantra. The right rear window was smashed. Occurred on 03-03-19 between 10:00 a.m. and 11:00 a.m.
•	Party City parking lot—an attempted burglary to a 2018 Hyundai Elantra. The left front window was smashed. Occurred on 03-02-19 between 2:00 p.m. and 10:00 p.m. There were no vehicles stolen during the past week.